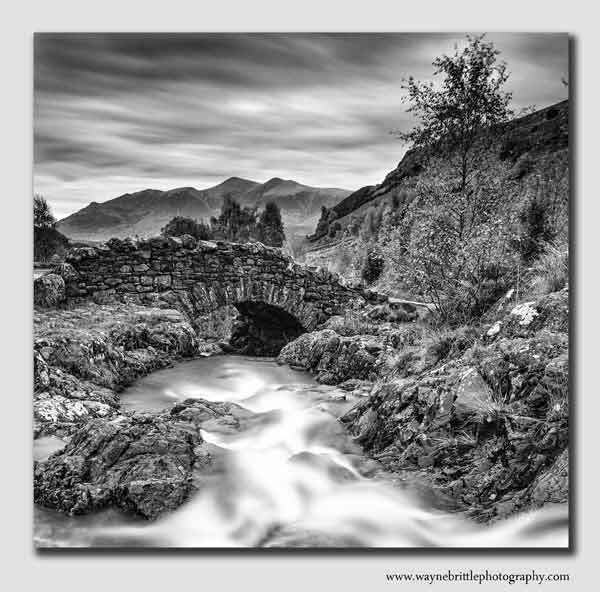 The well photographed Ashness Bridge in Borrowdale. Here I waited for the crowds to dissapear so I had the location to myself after the light had faded and took this long exposure and converted to B&W. Canon EOS 5D mkiii, 17-40mm'L' lens.